More names have been added to the cast list of Red Productions’ new comedy, Pat and Cabbage. 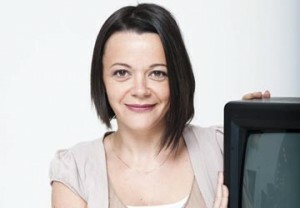 The ITV series (which had the working title Cabbage and Pat) is aimed at a pre-watershed slot on ITV1 and has been co-written by Beth Chalmers and Amy Shindler - a cousin of Red’s boss, Nicola. It’s been confirmed that Cherie Lunghi (Death in Paradise, Mystery, Lewis) will play Cabbage, while Barbara Flynn (Moving On, Midsomer Murders, Miss Potter) will be Pat. They will be supported by Peter Davison (Dr Who, Law & Order, All Creatures Great and Small), Rosie Cavaliero (Spy, Jane Eyre, Shameless, A Young Doctor’s Notebook), Tom Turner (Hollyoaks, Waterloo Road), Diane Morgan (Him & Her, Mount Pleasant) and Marcus Garvey (Broadchurch - and also younger brother of Guy Garvey). The 6 x 30 minute series is filming in Manchester. Shindler, who is executive producer on the series has previously described the comedy as "something really special." "... genuinely fresh and funny writing at its heart. Amy and Beth have created two extraordinary characters who, after coming through a life changing event, have a brand new perspective on life and are fully launching themselves into a brave, new world with gusto, warmth and humour."